I am thrilled to have guest blogger, Lindsey Whitney from Growing Kids Ministry, share with you today! It is so important to have the word of God with us at all times and I hope that you and your little ones will be blessed by her helpful tips! Enjoy! Psalm 119:11 tells us that we should hide God’s Word in our hearts so that we will not sin against Him. Memorizing Scripture also provides encouragement during dark times and direction during confusing times. It’s a wonderful habit to teach children, but just how do you go about helping them to hide God’s word in their hearts? Here’s a few ideas to get you started. 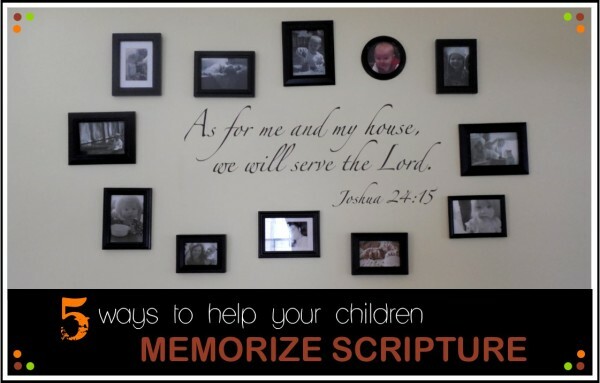 When you integrate Scripture memory into your everyday lives, it quickly becomes something your kids will both value and look forward to. Michelle Duggar speaks about her Scripture memory time in the book, A Love that Multiplies. She says even the littlest children, who are still preverbal want to participate in Bible verse time by doing the motions. Of course, it helps that Michelle hands out MnM candy to the kids, but I think the excitement of everyone saying the verse together is also a motivator. As for my own family, each person has to say the week’s memory verse before we are dismissed from the dinner table, even the adults. I think the fact that everyone in the family memorizes the verse shows the importance and usefulness of God’s Word. Think of a time when you are together as a family and can spend a few minutes learning and reviewing a Bible verse each day. When choosing a verse for your children to memorize, make it relevant to their life right now. Are they feeling fearful at night? Try Psalm 118: 6 (“The LORD is with me; I will not be afraid”) or Isaiah 41:10 (“So do not fear, for I am with you…”). Has there been an abundance of complaining lately? Add Philippians 2:14 to the Bible verse list (“Do everything without complaining or arguing”). As the seasons change, consider a verse about God’s creation or the beauty of nature. Whatever verse you choose, make sure it is something that the kids can easily understand and apply in their lives. Check out this post from Teacher of Good Things for 5 meaningful verses for toddlers and preschoolers or take a peek at the resource section below for some great Thanksgiving-themed verses. When starting out with your Scripture memory plan, make sure to pick something everyone can easily learn and memorize. It’s better to start out a little too easy than to have discouraged kids right off the bat. Consider using a child-friendly version of the Bible such as NIrV (New International Revised Version) or CEV (Contemporary English Version). Check out these 10 easy Bible verses from Ministry to Children along with accompanying coloring pages and motions. There are all kinds of ways to make learning Scripture fun. Toddlers and preschoolers love to do motions along with verses and older kids might enjoy making an accompanying poster or craft to go along with the family verse. Games are always a hit and can help kids both learn and review verses. Perhaps once a month, your family can review all the verses they’ve learned in the current year with a fun game night. Find a big packet of games over at Calvary curriculum to get you started. You can even find online games aat sites like Impress Kids or the Adventure Bible Game Site. Once, in our Kids Club at church, a team leader made power point slides with kids pantomiming parts of the monthly memory verse (here are the pictures). The kids loved it! Check out the resources below for even more ways to make Bible memory fun. Kids love to show off new skills and things they have accomplished. In order to encourage your kids, be sure to spend time bragging about the verses they have learned when you talk to others. When you get the chance, have them demonstrate their newly learned verses to family and friends. Even my two year old loves to “say” his verse to his grandparents; even if he only remembers three or four words (he does do all the motions though!). Elevate Scripture by how you treat it and the kids will be eager to learn more. In Deuteronomy 6, the Israelites were told to write Scripture on their door frames. As they went to and fro each day, they would be reminded of the promises found in God’s Holy Word. Today, there are all kinds of beautiful wall art displays that help us accomplish the same purpose. Our family has Joshua 24:15 on our living room wall and I love how it shines as an emblem of our faith to anyone who enters the house. Consider putting this type of wall art in your children’s rooms so they can read (and remember) God’s word as they fall asleep and wake up each day. I found my wall decal at this Etsy shop, but there are lots of places online you can find them. At first, you may be intimidated to begin on this Scripture memory journey, but I promise it will be worth it (and probably much easier than you think!). So what are you waiting for? Get started today! Pick a verse that has been meaningful to you and make it the Bible verse of the week. Soon, everyone in the family will be hiding God’s word in their hearts and reaping the rewards. 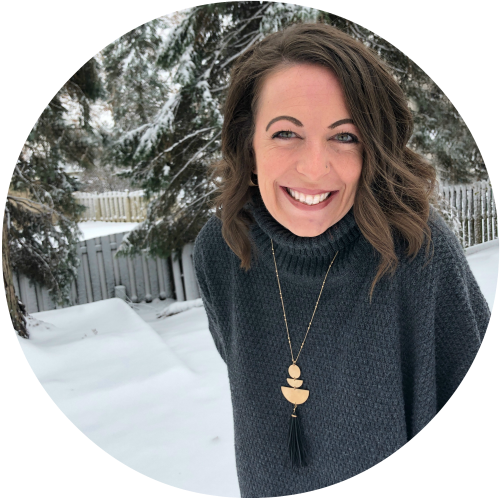 Lindsey Whitney is a mom of two, home day care provider, Children’s Ministry director and blogger over at Growing Kids Ministry. Growing Kids Ministry is a blog designed to help parents, teachers, and Children’s Ministry workers who want to help the kids they love grow in their faith. You can connect with her via twitter or on facebook. I'm so glad you love the decal! It looks great! If you ever need another bible verse decal and we don't have the one you want listed in the shop, just send me a message. I can make any verse. God Bless! Thank you for sharing my Bible verses post! I love how you laid this out and gave true help with parents.